Welcome to the JEC Early Childhood Division! At the JEC Early Childhood Division our youngest students grow in a warm and caring environment. Talented teams of trained and dedicated professional educators specialize in nurturing your child through their earliest years, preparing them for a lifetime of learning. The JEC Early Childhood division is a magical place where Torah, middos, and learning come alive in fun, energetic and imaginative ways. 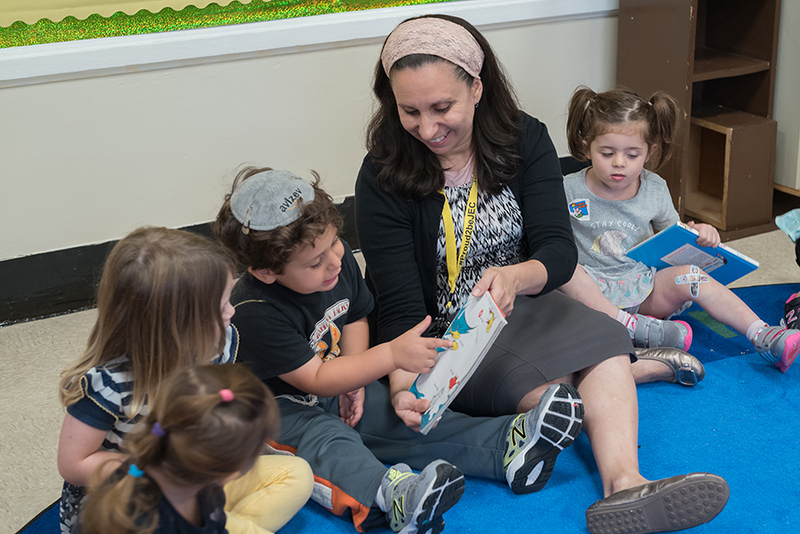 From the toddlers in our JEC Juniors program to our primmer pupils ready to join first grade, our Early Childhood students learn to love Torah and form the social and academic foundations upon which their futures are built. Our loving team of outstanding educators engages each child, providing a comprehensive, differentiated, and multi-sensory experience. Children learn to their strengths and grow in all areas. Educating the whole child, our Early Childhood faculty guides students in developing the social and emotional skills they need to be part of a happy learning community. Parents are an integral part of the Early Childhood experience and our Morahs and Teachers work closely with each family to ensure that every child receives the very best. Parents participate in many wonderful activities throughout the year and are often invited into the classroom.